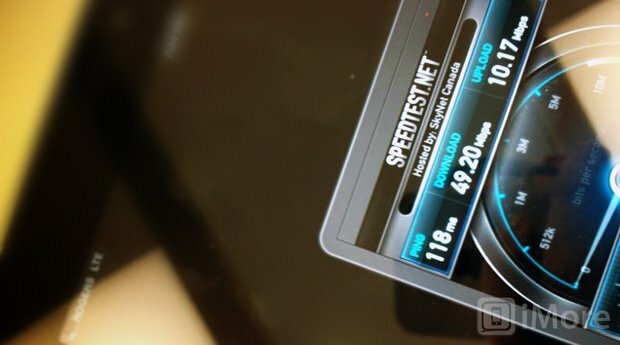 iMore learned back in March that the next iPhone would have 4G LTE networking. We’ve seen a pretty clear history of Apple integrating technology from the spring iPad release into the summer/fall iteration of the iPhone for the past few years. Last year, that included the A5 processor, 512MB of memory, and 64GB of storage. This year, it seems almost certain it will include LTE. Before the new iPad came out in March, I correctly speculated that both US and Canadian carriers would be the only ones to offer an LTE enabled version. Almost six-months later, the rest of the world is still waiting LTE support, and I think the new iteration of the iPhone will follow suit. We’ve got a good idea spec-wise about what we’re going to see, and an LTE radio seems inevitable. For the timeline, let’s take a look back to at Qualcomm. The chipset used in the iPhone 4 was announced over a year prior to the device’s actual release. Back in February of 2011, Qualcomm unveiled its next generation of chipsets, including the 28nm MDM9615, due to arrive in Q2 of 2012. This chip will provide enhancements in modem performance, power consumption, board area and BOM expense, exactly what Apple is looking for in its devices. The 9615 will support pretty much every standard out there today, including LTE (FDD and TDD), DC-HSPA+, EV-DO Rev-B and TD-SCDMA. If I were to bet, I would say the 9615 is the prime suspect. And then there’s the battery debate. The latest iPad showed us that it takes more battery to handle LTE, but really, how much more? Apple rates the battery life of the LTE and WiFi models of the iPad on its website as 9 hours and 10 hours respectively. LTE then accounts for roughly 10% of the battery’s usage, with the rest attributed to the more powerful processor, retina screen, and additional RAM. Remember, the new iPad is actually heavier and thicker than the iPad 2. But it’s a tablet, big and bulky already, so adding a bit to it isn’t the end of the world. Translate this over to a new iPhone, and people aren’t going to be all that thrilled about a thicker heavier device. So where should we plan to see this increase in battery life from? The bigger screen. Combine the rumors of a larger, 4-inch screen with a thinner in-cell display, and the size of the battery underneath will be increased not only to handle the additional pixels, but also the more power-hungry radio. It’s already used to handling a a EVDO or HSPA+ radio, so we’re really not talking much. Finally, as with the iPad, consider the frequencies used for LTE. Network testing and planning is happening in nearly every wireless band available. In North America, it’s primarily on the 700 and 1700 MHz bands, but 800, 1900, 2500 and possibly even 1500 MHz are still in play. Add in the rest of the world, with 900, 1800 and 2600 MHZ, and you have the potential for up to nine (ennea) bands for the radio chipset. Ennea-band support wasn’t in the latest iPad, and quite honestly, I don’t see the need for it yet. When the iPad was announced, there were around 30 countries with commercial LTE service available. Today, according to my count, there are still less than 35 countries with live LTE networks. Outside of North America and Europe, lots of planning is going on, but few deployments are actually happening. I’m thinking Apple will head for the low hanging fruit again, the countries with mature networks, and skip those in testing or planning phases for the next round. Translated, LTE enabled devices will hit the US and Canada at launch, with the possibility of some European and Australian carriers, but that’s about it. Bottom line, LTE is coming to the iPhone, and it’s coming this fall. Just don't expect it to show up everywhere.